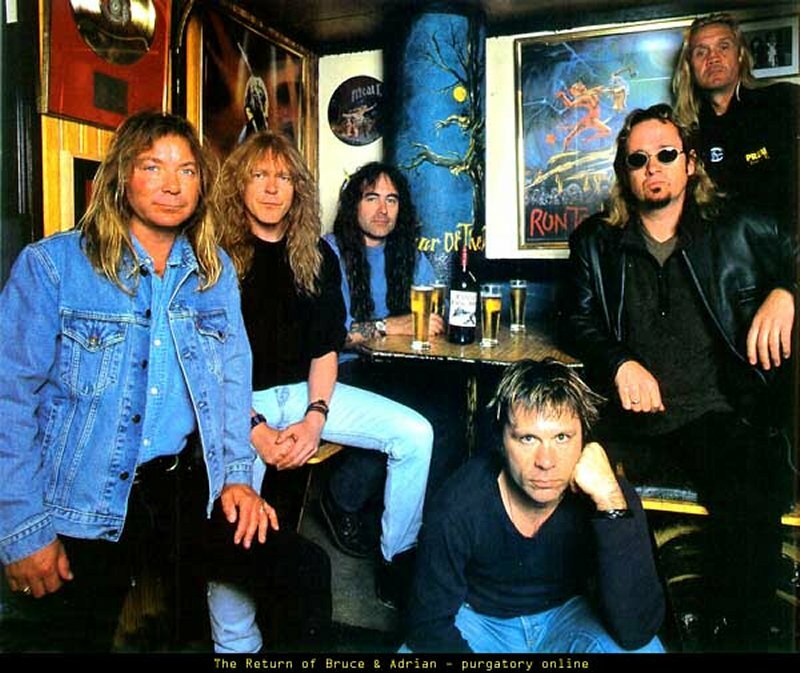 Believe it or not, the current line-up of Iron Maiden has been together for 16 years this month! The previous record for Maiden line-up longevity was held by the classic line-up of Harris-Murray-Smith-Dickinson-McBrain, which lasted seven years and five classic albums from 1983 until early 1990. That seemed like ages, didn’t it? But the current line-up, classic plus Gers, has more than doubled it, proving that Harris meant business back in 1999 when he stated his hope for this being not just the final Maiden line-up but also more than a flash. 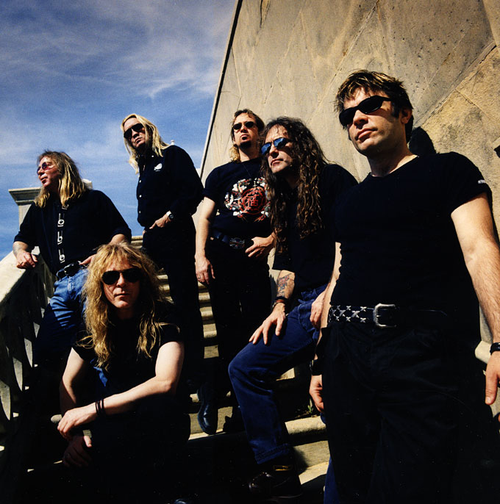 Maiden had come to the end of the road with Blaze Bayley as singer in late 1998 and called him in for a meeting “the first chance they got in January”, according to Blaze himself. He was out, Bruce was back in. Maiden get ready for the new millennium: Dave Murray, Janick Gers, Steve Harris, Bruce Dickinson, Adrian Smith, Nicko McBrain. Maiden headed out on a short tour, which included their incredible first European reunion show in Paris, and then ran right from the stage to the recording studio to make Brave New World. The rest is 16 years of Maiden history, and counting. Here are all the Maiden Exits! And here’s to more years of the final Iron Maiden line-up! ← First news of the year is in: Headphones! I would raise a Trooper on 10th February to commemorate the 16th anniversary of the announcement that Bruce and Adrian were back! So true. Anyway, I can clearly remember checking the information online at one computer in the University where I was an undergraduate student and feeling incredibly excited!! !